(Paris) On Monday, April 9, the General Chapter of the Sisters of the Priestly Fraternity of St. Pius X elected a new Superior General. 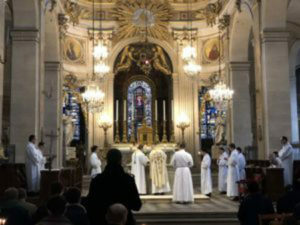 The General Chapter met in the Mother house of the Congregation in the Abbaye Saint Michel-en-Brenne in the French department of Indre in the presence of Auxiliary Bishop Alfonso de Galaretta. The capitulars elected Sr. Maria Jean Bréant, the former novice mistress of the Order, the fourth Superior General. Her term of office is six years. So far, Sr. Maria Jean worked at the novitiate Notre Dame de Compassion in Ruffec. The third Superior General was Mother Marie-Augustin de Poulpiquet, who since 2006 has been the head of the sisterhood for two terms of office. The first Assistant General was Sr. Thérèse Trutt from Baden, second General Assistant Sr. Marie Claire Wuilloud from Valais. She is superior of the monastery of St. Pius X in Göffingen in Swabia. The Sisters of the Society of St. Pius X were founded on September 22, 1974 by Archbishop Marcel Lefebvre in Rome. He was assisted by his biological sister, Mother Marie Gabriel, then a nun of the Missionary Sisters of the Holy Spirit (Spiritanerinnen). She asked for thr eclaustration to make the Order with a small group of other women and was the first Superior General. In 1977, the first postulant entered. Today, the congregation has 195 sisters and more than 20 novices living and working in 27 houses on all five continents. 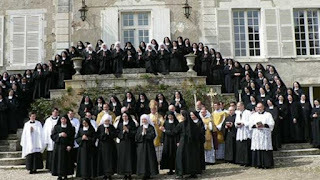 The Abbaye Saint Michel -en-Brenne was acquired in 1975 and became the mother house of the sisters. The abbey was founded around 632 by the Frankish archbishop Sigirand of Tours, who is today revered in France as Saint Cyran. In the 17th century, the monastery had become a center of Jansenism, which is why it was abolished in the early 18th century. After the French Revolution, the buildings were used for various purposes until they were restored by Archbishop Lefebvre again to ecclesiastical and monastic purposes. According to the donor's will, the sisters live "intensely with the Lord's sacrifice renewed and continued on our altars" and worship the "sacrificial lamb always present in the Blessed Sacrament." In addition, they support "the apostolate of priests in various fields" in order "to lead the souls to this very worship". 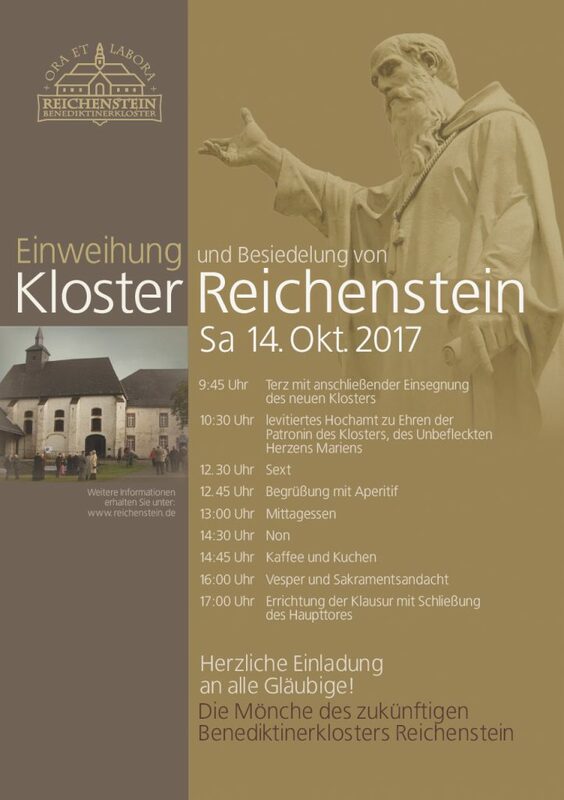 On the following Saturday, October 14, the consecration and settlement of the monastery of the Immaculate Heart of Mary will take place in Reichenstein. 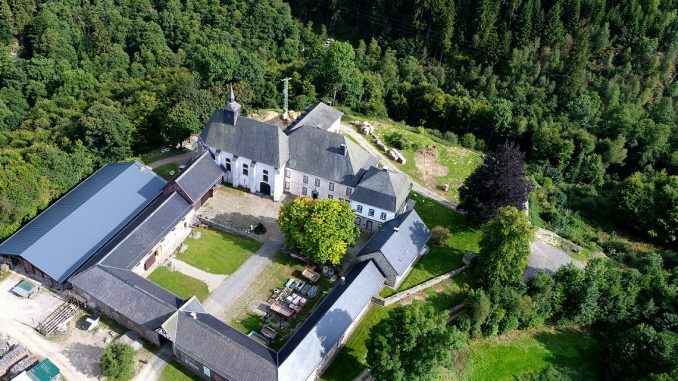 While monasteries are being closed elsewhere because of the lack of vocations, a new monastery is being moved into Monschau by traditional Benedictine monks. Monschau is located in the Eifel south of Aachen and borders directly on the territory of the German-speaking community in Belgium (Eupen). 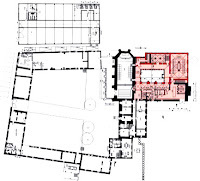 In 2007, the German District Superior of the Priestly Society of St. Pius X, Father Franz Schmidberger, announced the intention to found a traditional Benedictine monastery on German soil in which the sacred liturgy will be celebrated in the Immemorial Mass of All Ages. 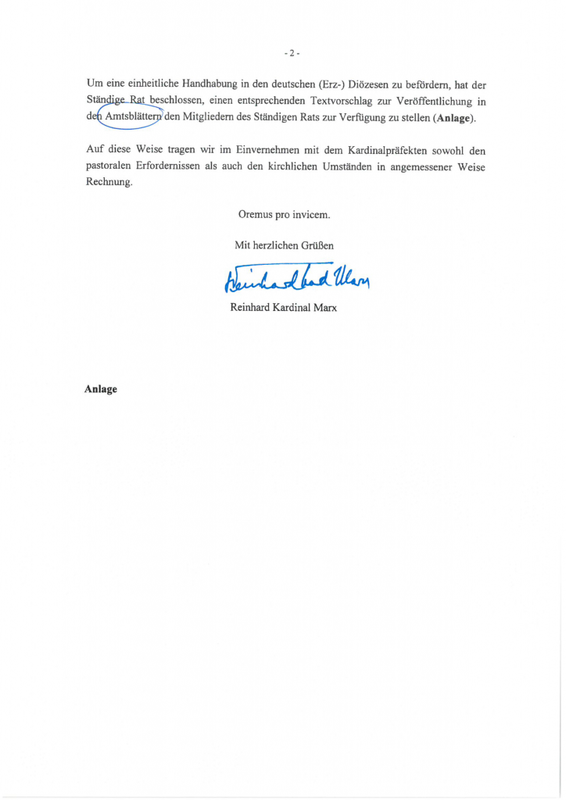 In 2008, after the purchase of the historical monastery by the St. Benedict Society, the key handover of Reichenstein to the Benedictine monks took place. In the 11th century, the counts of Limburg had erected Richwinstein Castle on a hill on the upper Rur. Having ascended to dukes, they donated the castle in 1131 to the Premonstratensian Order, which had just been founded by St. Norbert of Xanten. The castle was converted into a double monastery, as was customary in the early days of the Order. When this practice was abandoned, the Premonstratensians, Choir Nuns, remained in Reichenstein. Since 1487 it was then a principal choir house. The buildings, including the monastery church, originated in their present form in the late 17th century. When in 1794, the French revolutionaries occupied Germany on the left bank of the Rhine, the conquest of the Premonstratensian monastery also began its decline. In 1802 Napoleon Bonaparte, in the course of secularization, abolished the monastery together with many other monasteries. After several changes of ownership, the lawyer Ernst Wilhelm Handschumacher, the Grand Officer of the Order of the Holy Sepulcher, bought the former monastery together with his wife Helma in 1973 and renovated the complex in the 1970s. It was the couple's endeavor that the buildings be returned to their original purpose. 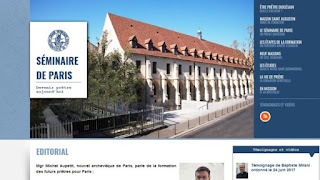 The twelve monks who will settle the monastery next Saturday, come from the Benedictine monastery of Notre-Dame de Bellaigue, built in 2001, connected to the Society of St. Pius X. The monks speak of the "reawakening of the monastery". In 2009, Dom Matthäus Haynos, the priest of the convent in Bellaigue, was given the name of the monastery church and celebrated the first Holy Mass by a new priest of the monastery. To this end, it had been re-established with a neo-Gothic high-altar with a statue of the Immaculate. Bellaigue is a subsidiary of the Benedictine monastery Santa Cruz in Brazil. The first four monks came to France in 1999. After ten years, 25 monks were already living in the Auvergne, so a daughter-foundation could be established. For several years, a Benedictine convent has been built, a few kilometers from Bellaigue. 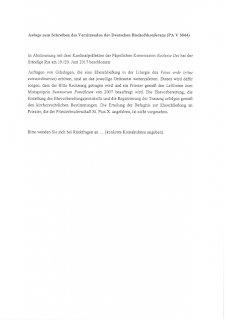 For years there have been urgently needed renovations in Reichenstein, as well as modifications and new buildings. The monks will supply their own heating with 36 hectares of forest belonging to them. The construction of the new cloister was started in 2015. 2017 saw establishment of a provisional central chapel. It will serve the monastic community in the coming four years for the liturgy "in order to be able to reconstruct the monastery church into the central, worthy and sacred space of the entire monastery." 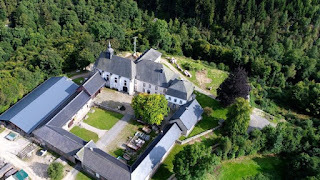 This coming Saturday, Reichenstein will be officially established as a subsidiary of the monastery of Bellaique and be populated by a monastic community. At 9.45 o'clock Terce and then consecration of the monastery. At 10:30 am Solemn High Mass in honor of the patroness of the monastery, the Immaculate Heart of Mary. At 12.30 pm, Sext with welcome and luncheon for the faithful gathering to celebrate this memorable day with the Benedictines. At 2.30 pm None and then coffee and cake. At 4 pm Vespers and Sacraments. 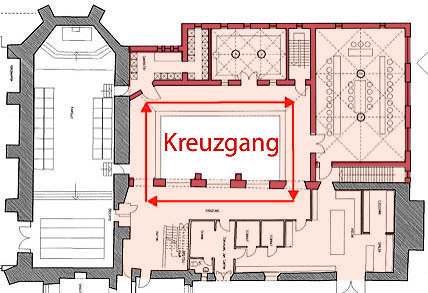 At 5 pm, is the establishment of the cloister with the main gate closed. The Society of St. Benedict, which is legally responsible for the repair of the buildings, regularly informs about the developments and the progress of the construction work with the "Monastery News." 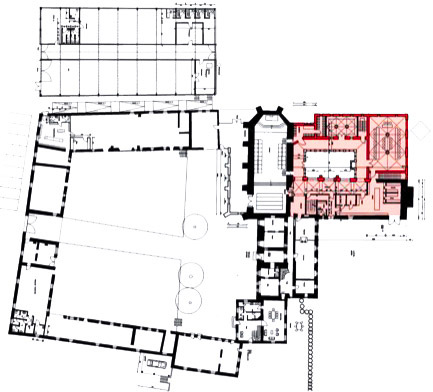 They will be occupied with the young monastic community for several years, as the actual monastery with cloister must be rebuilt (see plan). "We want to build a school for the Lord's ministry. Everything without exception is to be done in this monastery for the glory of God, so that in all God God may be glorified." This is how Br. Bernhard OSB writes in the latest edition of the "Klosternnachrichten." Since 1 October 2017 Holy Mass in Reichenstein has been celebrated every day on workdays, Feast Days, Saturdays and Sundays at 7:20 am and 11:15 am in the Immemorial Roman Rite. All of the faithful are invited to blessing and settlement of the monastery on 14 October. 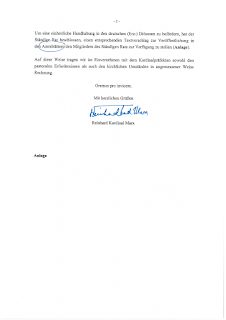 Bishop Fellay Has Signed the Filial Correction -- Just Released! [FSSPX] On July 16, 2017, several clerics and lay scholars addressed a correctio filialis, a filial correction, to Pope Francis. They reveal the seven heresies contained in the Apostolic Exhortation Amoris Laetitia. A website has been created for the occasion: www.correctiofilialis.org; it offers information on the diffusion of the correctio filialis. This thoroughly documented critique is a sort of sequel to the Dubia on Amoris Laetitia (September 19, 2016) of Cardinals Walter Brandmüller, Raymond L. Burke, Joachim Meisner, and Carlo Caffarra. (The latter two passed away this year, respectively on July 5 and September 6.) They respectfully requested Pope Francis to “clarify” five unorthodox points in Amoris Laetitia. The Dubia remained unanswered and were later followed by a request for an audiencefrom the four authors (April 25, 2017). Their request was not granted. On June 29, 2016, 45 theologians submitted to Cardinal Angelo Sodano, dean of the College of Cardinals, another critical studyof 19 points in Amoris Laetitia. This critique also went unanswered. 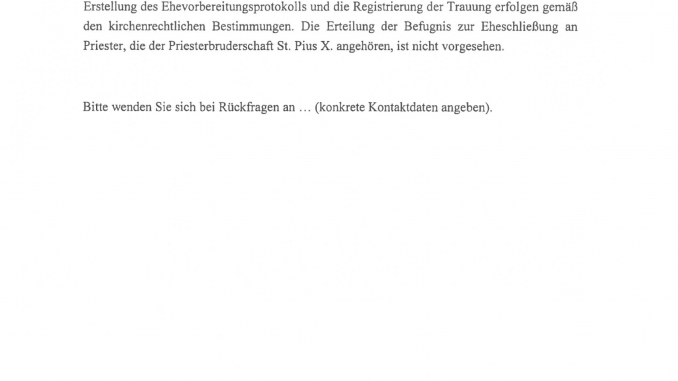 In the list of the 62 signatories of the correctio filialis are the names of several persons who already signed the critique of the 45 theologians in 2016, but among the new names is that of Bishop Bernard Fellay, Superior General of the Society of St. Pius X, the only bishop who has signed the document so far, although – as the presentation of the correctio filialis explains – the list remains open. 10,000 Pilgrims of the Society of St. Pius X this Weekend at Fatima -- "Largest Pilgrimage in 100 Years at Fatima"
(Lisbon) This is not the first pilgrimage of the Priestly Society of St. Pius X to Fatima. What is new, however, is that this year's pilgrimage, on the occasion of the 100th anniversary of the Virgin Mary, is given special attention by the Portuguese media. The international Fatima pilgrimage of the Society of Pius X will take place next weekend. Since the 11th of August a novena has been held. On Saturday, 19 August, Father Franz Schmidberger, Rector of the Priestly Seminary of Zaitzkofen, celebrates Holy Mass at 3 pm in the Shrine. Afterwards a procession with rosary to the place of the apparition Os Valinhos takes place. At 20:30 the exposition of the Blessed Sacrament and a Benediction follows. On Sunday, August 20, at noon, worshiping the Eucharistic blessing will end at 6:30. At 9:30 am a pontifical High Mass, will be celebrated by the General Superior of the Society of Pius X, Bishop Bernard Fellay. At 3 pm, a common rosary closes the pilgrimage. After the rosary, the consecration of the Militia Immaculatae and its members to the Immaculate Heart of Mary takes place in the same locale. The Militia was founded in Rome on 17 October, 1917 by St. Maximilian Kolbe. That was four days after the last Marian apparition in Fatima, which Kolbe at that time still knew nothing. And it was three weeks before the Bolshevik October Revolution broke out in Russia. As if he had known it, Kolbe had with the Militia already created as an antidote to the rearing of totalitarianism and enemies of the Church. In 2000, P. Karl Stehlin (FSSPX), along with the Novus Ordo Militia, also revived Militia Immaculatae in the spirit of tradition. 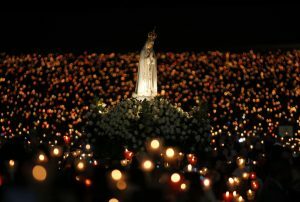 "Largest pilgrimage to the 100-year celebration comes from conservative community"
"10,000 pilgrims protest in Fatima against the present Church"
No Catholic undertook a pilgrimage to "protest" against something. The article itself contains more applicable information. "Greatest pilgrimage on the 100th anniversary comes from conservative community". The article describes the reasons for the pilgrimage and briefly describes the current situation of the relations between the Society of St. Pius X and the Holy See. 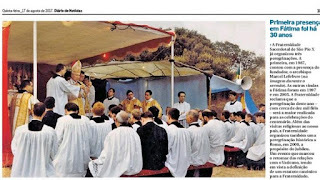 A big picture in the article shows Archbishop Marcel Lefebvre, the founder of the Society. 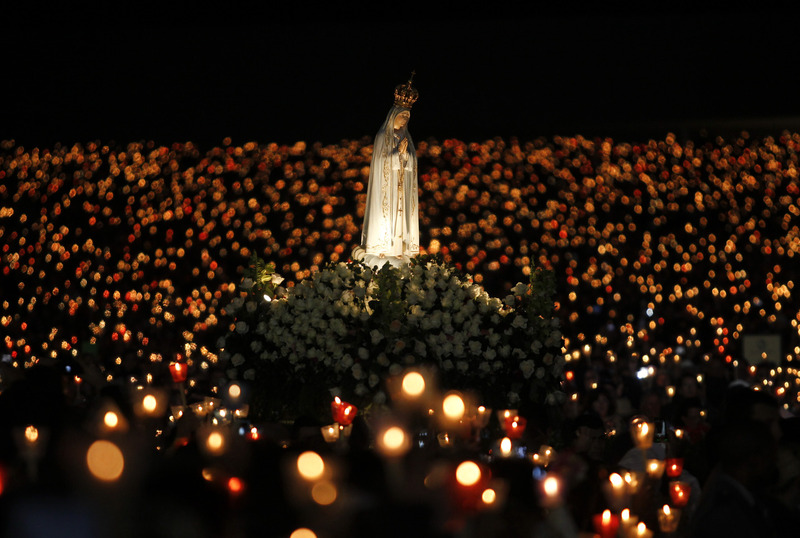 The Society has already carried out three pilgrimages to Fatima in the past. The first took place in 1987. 30 years ago, Monsignor Lefebvre also participated. The other two pilgrimages followed in 1997 and 2005. Are discussions with Rome again at the "starting point"? 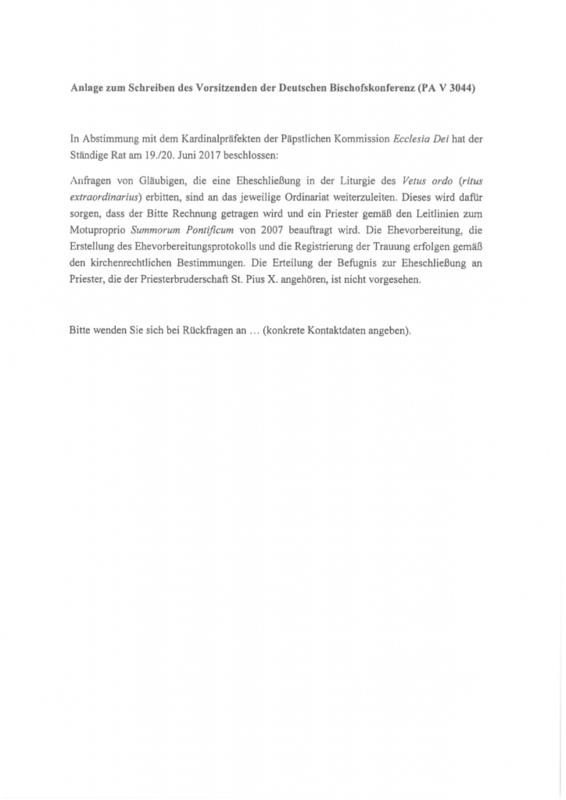 The media interest could be related to expectations that Bishop Fellay made statements on the current situation that resulted from Cardinal Müller's letter to the FSSPX's Superior General. Four days later, on 30th June, the Cardinal was dismissed by Pope Francis as Prefect of the Congregation for Doctrine of and the Faith. 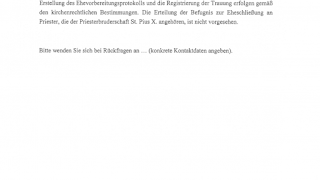 Cardinal Müller, on 26 June, informed Fellay that the Congregation for the Congregation at its General Assembly of May had decided that the Society of Pius X and every Society member would have to sign the Doctrinal Preamble as a condition for canonical recognition. Such was offered to Monsignor Fellay in September 2011 by Cardinal Levada, the Prefect of the Congregation of Doctrine and the Faith at that time. The exact wording thereof was never published. Little changes could be made, as Cardinal Levada explained to the Society (see the chronology of the conversations between the Holy See and the Pius Brotherhood ). At the end of June, Cardinal Müller also announced that this conditio sine qua non was endorsed by Pope Francis. The sitution in August 2017 is again or still, what Monsignor Fellay already said in June 2012: one was again at the "point of departure"? 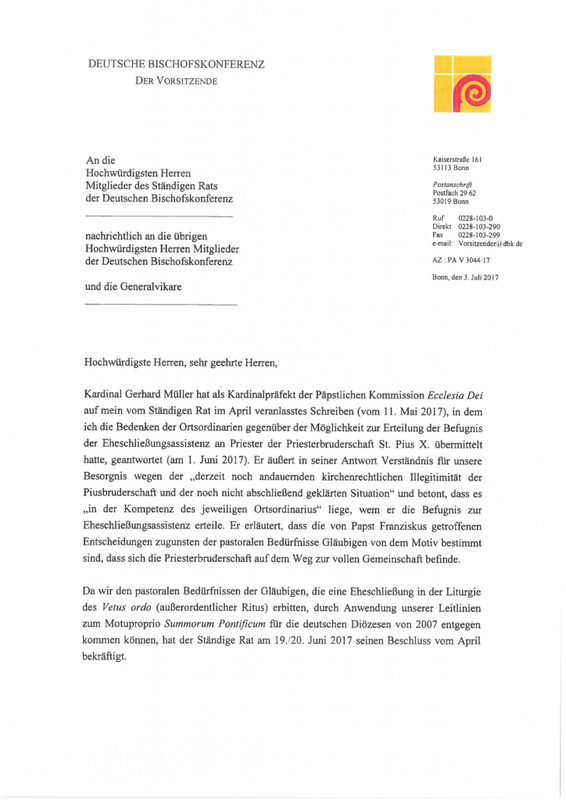 Bishop Schneider: "Personally Very Sad" About Rome's Letter to the SSPX -- "They Wouldn't Treat the Orthodox Like This"
(Lisbon) Just before Cardinal Gerhard Müller was dismissed on 30 June by Pope Francis as Prefect of the Congregation for Doctrine of the Faith, he sent Bishop Bernard Fellay, the Superior General of the Priestly Society of St. Pius X, a letter. In this he announced that the General Assembly of the Congregation for the Congregation, with papal approval, as a condition for a possible Church recognition of the Society, again demanded the doctrinal preamble of 2012. Adelante la Fe: Recently, a letter from the Congregation for the Doctrine of the Faith was publicly announced to the Superior General of the Society of Pius X, with which, as it seems, Rome returned to the point where the conversations under Benedict XVI. had broken down. The outcome of the current negotiations had given the impression that the problematic issues related to the Second Vatican Council in Rome might seem to be able to be the object of discussion, while now a priori a written agreement has been broached where agreement is demanded to the entire Vatican II and also to some parts of the post-conciliar Magisterium. Can you tell us something about this situation? Msgr. Schneider: Personally, this document makes me very sad because I was one of the visitors of the Holy See who was sent to the Society of St. Pius X two years ago. There were four bishops. I was one of them. I have presented a report and proposed some solutions, and now almost everything we have done has proved to be useless. I think this is very anti-pastoral. For three years, the Holy See has encouraged visits and not followed a maximalistic path, but a pastoral way of integrating these realities of the Church, the FSSPX, pastorally to give it a chance to participate fully in the structures of the Church. I think, therefore, that this is a very anti-pastoral gesture, and in contradiction to the whole mercy rhetoric that is being put forth - unfortunately. At the same time, on the other hand, implicitly, the entire Council is being made infallible, which is contrary to the whole tradition ... The Council is not infallible, according to its own statements, and the Popes John XIII. and Paul VI. have emphasized on numerous occasions that the Second Vatican Council had only pastoral aims. Paul VI. said many times that the Council has announced no new doctrines and that there is nothing in contradiction with the previous ones. So if nothing has been changed, then why this attitude? I see no justifiable reason for expressly declaring such a thing [expressly the recognition of the teachings of the Second Vatican Council and the post-conciliar period, as it is said in the letter of Cardinal Müller, Editor's note]. For example: Now we talk a lot of ecumenism, with particular generosity, and in the discussions with the Orthodox, the Lutherans are only required the minimum .... The minimum is required. Within the Church, however, one demands the maximum. The FSSPX, however, believes in the eternal dogmas. All dogmas. All. While the Orthodox Church, for example, denies the dogma of infallibility and of the papal primacy, and the Holy See does not even require the most indispensable. For example, I know the Orthodox very well, because I am among them. I know their mentality. Regarding the conversion of Russia: This is not just for me, there are others who have seen it. A secret saint, who has perished in the persecution in Kazakhstan, shares the same opinion. He said, saying that the conversion of Russia ultimately means that the Orthodox Church will unite with the pope, with Rome. That is their conversion. I believe I hope it will be so. If the Russian Orthodox Church recognizes the primacy of the Pope, it will be a miracle to recognize the dogma of the Pope's infallibility, the dogma of the Immaculate Conception that she does not recognize today, and the Holy See says: "We accept all of your Dogmas, but the Second Vatican Council is strange to us: it is only pastoral, its language is not always clear, the whole about freedom of religion, ecumenism, etc. that does not convince us very much, and some statements of the Magisterium, we are here not sure. All the rest [the dogmas] we accept. Imagine this: if the Orthodox Church were thus to be converted, the Holy See would at once grant the ecclesiastical communion without demanding what they did not yet agree with it. I'm sure. Of course one could ask oneself: "Would they do with the Orthodox what they do with the FSSPX?" No. I consider this to be very doubtful, but Divine Providence always works, and I also believe that the time is not yet ripe. It will take place when God wants it. 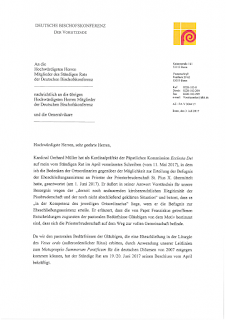 On July 26, was LifeSiteNews published the letter from Cardinal Müller, the interpretation that the former Prefect of the CDF wanted to put the talks with the SSPX on the shelf for the time being to save the Motu proprio Summorum Pontificum. At the beginning of July, a few days after Müller's letter became known, La Croix, the daily newspaper of the French Bishops'Conference, and the New York Times, had speculated that Pope Francis was allowing the recognition of the Society of Pius X in order to reverse Summorum Pontificum. Cardinal Müller, according to this interpretation, he had overturned the pope's plans and saved Summorum Pontificum. On June 29th, the Feast of Peter and Paul, Monsignor Alfonso de Galarreta consecrated twelve priests and six deacons in Ecône. On July 7, 2017, Monsignor Bernard Fellay consecrated nine priests and six deacons in the United States. It was the first priestly consecration in the new seminary in Dillwyn, Virginia. The Society was authorized to carry out priest ordinations without the consent of the local bishop. The consecration is therefore not only valid, but also allowed, says Bernhard Fellay, the superior of the FSSPX. Vatican (kath.net/CWN/jg) The Bishops of the Priestly Society of St. Pius X (FSSPX) may consecrate priests with the consent of the Vatican. This was announced in an interview by Bernard Fellay, the FSSPX Superior General. He had received a letter from Rome last year. He had been told that his Society priests could be consecrated without the consent of the local bishop. The priestly ordinations of the Society were therefore not only valid, but also allowed, Fellay added. This is another step in the approach between the Society and the Vatican, said the Superior General. Under Pope Benedict XVI And Pope Francis, relations have improved. Benedict XVI Lifted the excommunication of the Society in 2009. 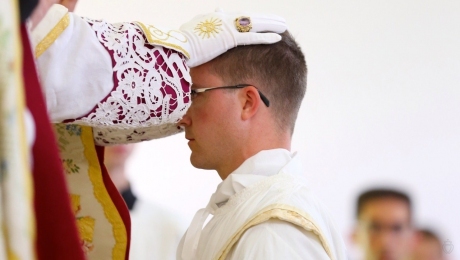 The confessions and nuptials of the FSSPX have been recognized under Pope Francis. In October 2016 Bernard Fellay was received at the Vatican. Cardinal Müller Acknowledges Pope's Unjust Dismissal of His Men -- SSPX Reconciliation Needs More Time -- Dismisses the Dubia as "Ideological"
A "deeper reconciliation is needed, not just the signing of a document" - deaconess ordination "impossible". On the question about the liturgical form in the course of the Second Vatican Council (1962-1965), Müller said that it was a Catholic concept that the pope and synods had the right and the duty to redesign the "external form of the liturgy". "The substance of the liturgy is given by revelation and can not be changed by anyone," he added. The interview was published on Thursday as a video on the Internet; On Saturday written extracts appeared in social networks. With regard to a study commission on deaconesses in the history of the Church set up by Pope Francis, Müller said that the pope did not refer to the three-level Catholic consecration of the deacon, priest and bishop. It was about women who had worked in the early church as assistants in the baptism of women or in charitable tasks. The Cardinal concluded that a diaconal consecration is "impossible". "This will not happen," says Müller. Moreover, this is not necessary either. Today, women in the church are in higher positions of responsibility than the deaconesses of antiquity. 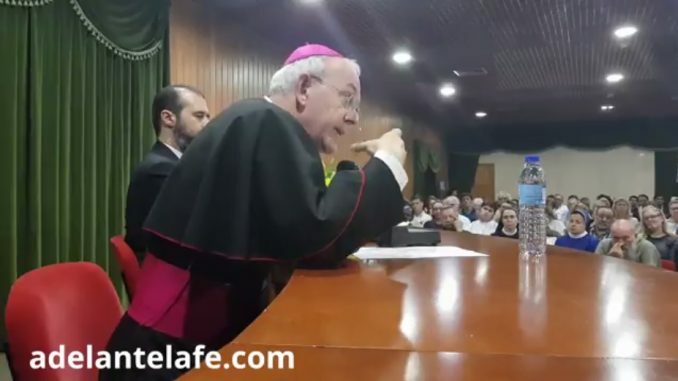 Unusually open criticism was exercised by the Cardinal on the alleged dismissal by the Pope of three members of the Congregation for the Doctrine of the Faith. The move had become known at the end of 2016 and was said to be against Müller's wishes. He said in the interview that this story was true. He wanted "a better treatment of our staff at the Holy See." One should not only talk about the social doctrine, but also respect it, according to the Cardinal. Müller put the staff changes in the arena of the "old courtly etiquette," which Francis himself has criticized. Employees could only be dismissed if they made a mistake or did not fulfill the requirements of legal faith, integrity, and material competence. (Rome) In an interview with Rome Reports, Archbishop Guido Pozzo, the Secretary of the Pontifical Commission, Ecclesia Dei, spoke of the canonical recognition of the Priestly Society of St. Pius X. There is "no date for reconciliation with the Lefebvrians", but the spirit is "constructive," according to Rome reports, referring to the Archbishop. "The reconciliation will occur when Monsignor Fellay formally adheres to the doctrinal declaration that the Holy See presented to him. This is also the necessary condition to then proceed to the institutional regularization with the creation of a personal prelature. I have noticed that there is not a controversial spirit but constructive. The different points of view or opinions we have on some issues do not necessarily need to lead to division, but to a mutual enrichment. I have realized that it is a priority for them to overcome this fracture with the Holy See. For them, it's a priority over other concerns." Prior to the establishment of the new Personal Prelature, the Vatican would consult the bishops' conferences of the countries in which the Society currently operates. Archbishop Pozzo stated that the "key to reconciliation" was a better understanding of the Second Vatican Council. The misinterpretations that some theologians, intellectuals, and media have promoted would have led to breaches like with the Lefebvrians. The Archbishop also recalled the criticism of Pope Benedict XVI. at a "hermeneutics of rupture". It was a false interpretation to see the Council as symbolic of a break with the doctrine of the Church which preceded it. This misinterpretation produces a "climate of conflict, confusion and uncertainty" about the interpretation of the Council, which is also the "root of the criticism and difficulties raised by the Priestly Fraternity of St. Pius X," said Pozzo.